Great Lakes PGP-DSE is a 5-month classroom program for fresh graduates and early career professionals looking to build their career in data science & analytics. Candidates from the program are able to transition to roles such as business analysts, data analysts, data engineer, analytics engineer etc. by learning relevant data science techniques, tools and technologies and hands-on application through industry case studies. Great Lakes’ program has been ranked #1 in India for 4 years in a row, and has an average rating of 4.8/5 across parameters like Course Content, Pedagogy, Facutly, and Brand Value. Great Lakes is one of India’s top 10 business schools, the youngest institute in India to receive an AMBA, UK accreditation, and a leader in analytics education. You gain from the decades of experience and expertise brought to the table by Great Lakes faculty in their chosen domains. Several of Great Lakes faculty have been ranked among India’s top Data Science academicians. The program follows an intensive bootcamp format where you learn data science and machine learning from expert faculty in classroom and deepen your expertise by working on data science lab sessions. The program duration is 20 weeks including 4 weeks of capstone project. The program covers the tools and skills sought by leading companies in Data Science. Through the duration of the program, candidates are trained on Python, SQL, Tableau, Data Science and Machine Learning. Participants in the program build their knowledge through classroom lectures by expert faculty and doing multiple challenging projects across various topics and applications in Data Science. Through the corporate network of Great Lakes, several leading companies participate in the hiring drives organised for PGP-DSE candidates. Some of the companies that have recently participated in the hiring process of PGP-DSE include: Cognizant Technology Solutions, Mahindra, Big Basket, Flipkart, Vestas, TVS, Jana Finance, Kantar, Marlabs, HSBC, etc. The 5-month PGP-DSE program uses a combination of learning methods that include classroom teaching, hands-on exercises, and sessions with industry practitioners. Classes are conducted on weekdays and are assisted by online discussions and assignments. Classroom sessions by our top-ranked faculty would be conducted from Monday to Thursday starting 9:30 AM at the Great Learning center. Regular in-class lab sessions help candidates apply data science concepts to real-life scenarios under the guidance of a faculty and industry expert. Candidates work on an application-oriented industry project where they are mentored and evaluated by Great Lakes faculty and industry experts. Earn a Great Lakes certificate and create an ePortfolio to showcase your learning & projects in a snapshot. Your certificate and ePortfolio can also be shared on social media channels to establish your credibility in Data Science. Our corporate partners are deeply involved in curriculum design ensuring that it meets the current industry requirements for data science professionals. Learn from leading academicians and experienced industry practitioners in the field of data science. If you are sincere and perform well during the program, you will definitely land a job in a good company. I can say that the mock interviews, career fairs, and CV reviews were quite helpful and played a major role in my transition. I had an opportunity to be interviewed by 3 companies from which, I was offered roles by two companies. As a fresher, I knew very little about data science but at the end of the program, I was well-versed with all the industry-relevant tools and topics. It was the ideal and the best way to learn data science. All the concepts were taught during this program with hands-on training on topics like text mining, Hadoop, SQL etc. All the Faculty were really great and I really love the way this program is structured. The comprehensive structure of this program is carefully designed keeping in mind the need of the hour - Analytics and ML. Professionals coming in from diverse backgrounds help you develop multi-node thinking. With a number of profile building sessions, data analytics training, industry seminars, soft skills sessions, resume building, and career counselling sessions, the program prepares you to be job-ready. 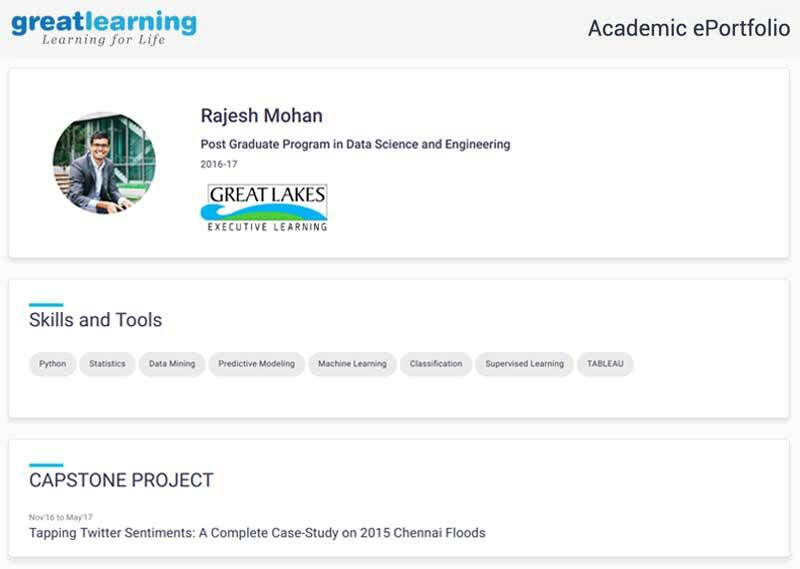 After comparing a few courses and institutes, I zeroed in on the data science and engineering program offered by Great Lakes because of the reputation their analytics programs have, and because of the Great Lakes brand name. Thanks to the program, I got a 100% salary hike and I switched from manufacturing to analytics. I would recommend this program to any young professional trying to build their career in the field of analytics. The program is very well designed and in line with what the industry needs. I had no knowledge of data science before and wasn’t sure if I would be disciplined enough to take up an online course. The classroom learning allowed me to clear my doubts right then and there which helped a lot. And the inputs that I gained from the mock interview sessions helped me crack the placement process of multiple companies. Coming from a mechanical engineering background, I never thought that I’d be able to transition to the analytics domain with such ease. All credit goes to Great Lakes academic and career support team for making this happen. I have recently joined my new role and am working on some exciting projects in the financial risk analytics space. done Applicants should have 60% or above in Xth, XIIth and Bachelor's degree. done The program is open for candidates in their final semester and recent graduates with 0-3 years of experience. 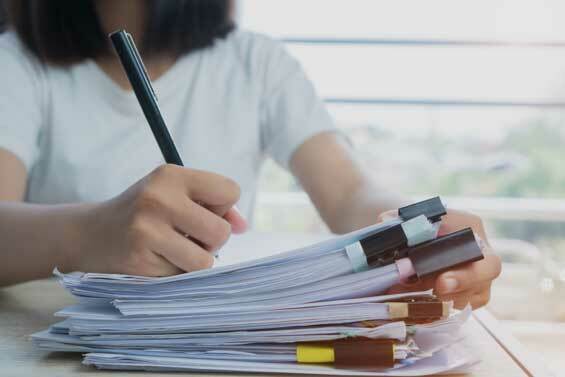 done PGP-DSE is ideal for candidates with a graduation in a quantitative discipline like engineering, mathematics, commerce, sciences, statistics, economics, etc. Apply by filling a simple online application form. Admissions committee will review and shortlist. Shortlisted candidates are required to appear for an online aptitude test. Our tie-ups with several lending partners like HDFC Credila, Avanse (DHFL), MoneyTap, Credifiable, and Axis Bank ensure that money is not a constraint in the path of learning. We follow a rolling admission process and admissions are closed once the requisite number of participants enroll for the upcoming batch. So, we encourage you to apply early and secure your seat. Please reach out to the admission office if you have any queries. What is the program structure for PGP-DSE? The program is a full time classroom program and spans 5 months including 1 month capstone project. Classes happen Monday to Thursday from 9:30 AM to 5:30 PM. What is the Capstone Project all about and how exactly would it help me? The capstone project is an opportunity for candidates to work on industry-like data science problems under the mentorship of faculty/industry mentors. This project would bring in the all the learnings that candidates would have gained in the program and would work on problems relevant in the industry using techniques and tools mastered in the PGP-DSE program. The capstone project also becomes a way for candidates to showcase their analytics credentials and learning to their future employers. Who will be the faculty for the program? The academic modules would be taught by senior faculty from Great Lakes. In addition to Great Lakes faculty, senior leadership from the industry would also participate in delivering certain topics/modules. See the indicative list here. What is the eligibility criterion for this Program? The Post Graduate Program in Data Science & Engineering is open for candidates in their final semester and recent graduates with 0-3 years of experience. Applicants should also have 60% or above in Xth, XIIth, and Bachelor's. Successful participants will be awarded a PG Program in Data Science and Engineering certificate by Great Lakes Executive Learning. Great Lakes has consistently been ranked among top business schools in the country for its Data Science, Analytics and MBA programs. Great Lakes has been ranked among top 10 in recruiter’s perception meaning that the Great Lakes certificate is valued highly by leading companies in India. How will I be evaluated during the Program? PGP-DSE is a holistic and rigorous Program and follows a continuous evaluation scheme. Candidates are evaluated in the courses they undergo through case studies, quizzes, assignments or project reports. What is the program fee? Is there any financial aid provided? Please see the Program Fee Structure here. Admissions office will help you in applying for loans once you receive the offer of admission. We ensure money is not a constraint in the path of learning. Would the content be available to me after completion of the course? We believe that learning should continue and hence, access to Learning Management System (Olympus) which houses the learning material would be available to the candidates up to one year post completion of the program. Would I have to spend extra on books, online learning material or license fee? All the requisite learning material is provided online to candidates through the Olympus - Learning Management System. Candidates are free to purchase any reference books or material as may be recommended by the faculty. The classes for Gurgaon, Chennai, Bangalore & Hyderabad will be held at the Great Lakes Learning Center in the city. Classes for Mumbai will be held at Hotel Ramada-Powai, for Pune at MCCIA Trade Tower-Shivajinagar, and for Noida in Sector 18. No accommodation is provided at our learning center. Outstation candidates are requested to arrange accommodation themselves. The candidates need to bring their own laptops, the technology requirement shall be shared at the time of enrollment. All interested candidates are required to apply for the Program through the online application form. A panel of Great Lakes faculty will do screening and shortlist candidates. The shortlisted candidates would then appear for an aptitude test followed by a personal interview. Selected candidates will receive admission offer letter. What is the refund policy for the program? We advise all candidates to have complete information before enrolling in the program. No refund requests will be accepted once the fee has been paid. However, there is a deferment policy where a candidate can choose to defer his enrollment to a future batch. Will there be placements at the completion of the Program? Yes, candidates do receive placement assistance in the Post Graduate Program in Data Science & Engineering. Upon successful completion of the program, candidates would be provided interview opportunities up to 3 months’ post completion of the program. We would also prepare candidates for these interviews by providing extensive support in terms of mentoring, CV review, interview preparation etc. If you are interested in the Program, you can apply through the online application form. Please reach out to us at dse@greatlearning.in or +91 92056 80225 for any program or admission related queries. What would be the average package offered? Careers in analytics and data science are amongst the highest paid in the industry. Furthermore, the career growth that one can expect in these roles is far superior to other roles. With leading Indian and Global companies looking to ramp up their analytics hiring, this is the best time to build a career in analytics and data science. Salaries for these roles while being higher than other comparable roles are subjective and depend on the quality of candidate and the recruiting company. As per analytics salary studies, average salaries for fresher roles in analytics (0-3 years) in India vary between 4-8 lacs.